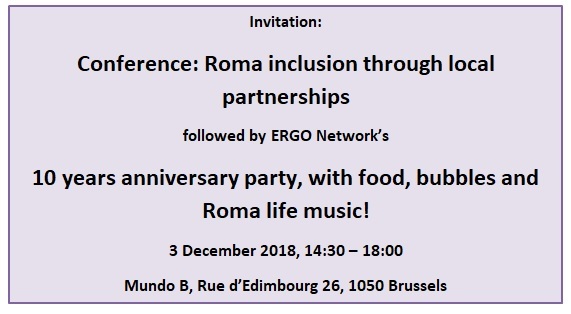 On 3 December 2018, ERGO Network concluded the first year of its 4-year work programme RIISE (Roma Included in Social Europe) with a panel debate discussing how Roma inclusion can be fostered through meaningful local partnerships. Emphasising the importance of Roma participation in all stages of decision-making, from the local to the European level, is one of the founding principles of ERGO Network, and many of our activities focus on building trust and partnerships between Roma communities and institutions. During the panel debate, the speakers highlighted several angles, good examples and pitfalls of partnerships on local level. The event was opened by introductory remarks from Romeo Franz, Member of the European Parliament for the Greens/EFA and Andor Urmos, Policy Analyst, Directorate General for Regional Policy, European Commission. It was followed by a panel moderated by former ERGO Network director Ruus Dijksterhuis, who discussed with Dominique Be (DG Employment), Maaike Buyst (Eurocities), Dijana Pavlovic (Upre Roma Italy), Valeriu Capraru (National Federation of Local Action Groups Romania), Tobias Mayr (Congress of local and regional authorities of the Council of Europe) and Andrey Ivanov, Fundamental Rights Agency. Dijana Pavlovic opened the panel by describing the local reality in Italy, where the level of antigypsyism also in local authorities is extreme. Building partnerships is difficult in a climate where Romani people always have to fear to lose their home during regular evictions. Dominique Be presented the ROMACT programme, a joint initiative between the European Commission and the Council of Europe that seeks to assist mayors and municipal authorities to work together with local Roma communities to develop policies and public services that are inclusive of all, including Roma. Maaike Buyst spoke about several good practice examples of municipalities in Eurocities Roma inclusion working group, for example Ghent or Goteburg, including Roma mediators, Roma councils and other initiatives. Tobias Mayr presented the Declaration against anti-Gypsyism of the European Alliance of Cities and Regions for the Inclusion of Roma and Travellers. Valeriu Capraru spoke about opportunities and challenges for Roma inclusion through Local Action Groups in the CLLD process. Andrey Ivanov, Head of Sector Roma and Migrant Integration, Technical Assistance & Capacity Building, European Union Agency for Fundamental Rights: presented the new report of the Local engagement for Roma inclusion” (“LERI”) project. It became clear that two issues are important: Partnerships need to be backed by proper funding and capacity-building of both Roma civil society and local authorities, and antigypsyism need to be tackled on all levels in order to ensure trust of Roma towards institutions. The conference was closed by ERGO board member Adriatik Hasantari together with Szabolcs Schmidt, Head of Unit Non-discrimination and Roma coordination European Commission, DG Justice, and Marie-Anne Paraskevas, Senior Policy Expert, Social Affairs & Inclusion, European Commission, DG Employment. 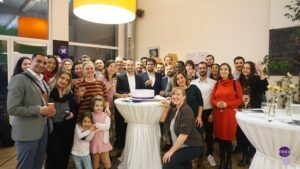 After the debate, the participants were invited to celebrate the ten years anniversary of ERGO Network together with ERGO staff and members, going together through the history of ERGO empowering the Roma grassroots and bridging Roma realities with EU policy-making. 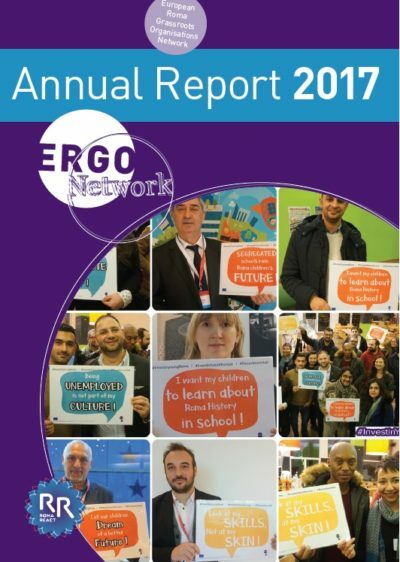 ERGO Network has been working actively to use bottom-up and partnership-based approaches such as Community-Led Local Development to engage Roma people more actively in shaping the future of their local communities. Involving Roma themselves in the development, implementation and evaluation of programmes creates trust between authorities and Roma, contributes to more effective needs-based approaches and avoids misuse of funds. At ERGO Network’s Conference, we will discuss the potential of local partnerships between Roma communities and other stakeholders and give recommendations from the Roma grassroots level on how to strengthen local partnerships through the next EU programming period. Download the concept note and agenda here. 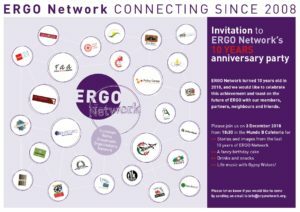 The conference will be followed by ERGO Network’s 10 years anniversary celebration, with food, bubbles and Roma live music!! We are searching for an expert to coordinate ERGO Network’s capacity-building and advocacy work on Roma inclusion in the CLLD in 2018, which is part of our Annual Work Programme ‘Roma Included in Social Europe’ funded by DG Employment. 2018 is a crucial year for CLLD in Europe, as important steps are taken on EU and Member State level for the new programming period 2020-2027 and the Urban CLLD is expanded. 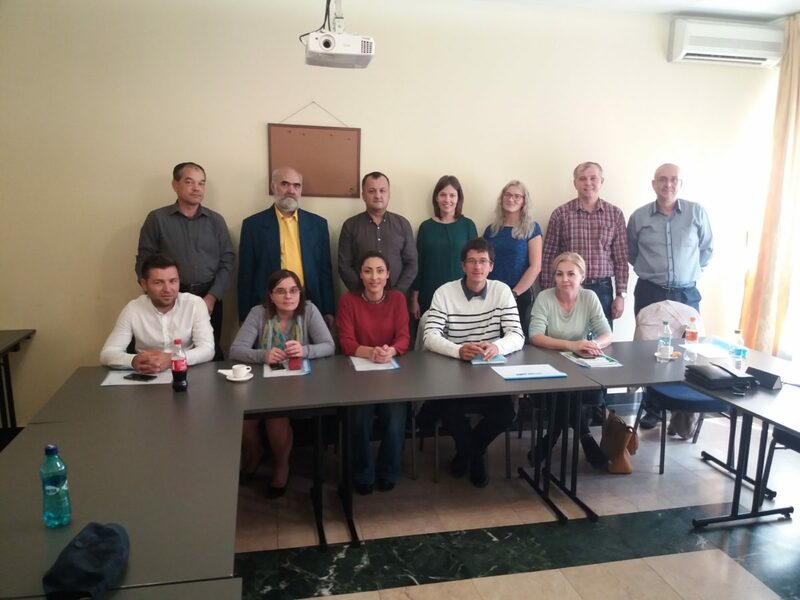 The expert is expected to support ERGO and its member organisations in Hungary, Czech Republic, Slovakia, Bulgaria and Romania in their capacity-building and advocacy work and to build on the experiences and achievements of the network in the area of CLLD from the past years. Support ERGO Network in setting up an EU advocacy strategy to ensure the next programming period includes Roma experiences in the CLLD. Contract and budget: The expert will be subcontracted to fulfil part of the work programme in the Framework Partnership Agreement between ERGO Network and DG Employment. The expert has no rights vis-à-vis the European Commission. The expert shall be paid for the execution of the activities and services a fee of maximum 5,800 EUR, all taxes and VAT included. We will select the expert according to the principle “Value for money”. Please send your application to info@ergonetwork.org, indicating in the subject of the email “Application CLLD Expert” by 10 July 2018, 23:59 CET. A detailed project summary can be provided upon request.